Hydrolyzed Egg Phospholipids - IsoNova® Technologies, Inc.
Hydrolysis refers to the breaking of molecular bonds using water as a reagent. In this process, the molecule that reacts with water splits into two (or more) components. In hydrolyzing egg phospholipids, we can gently modify their functional components to enhance their usability. Hydrolysis of phospholipids promotes their ability to form emulsions, and this can improve the processing and shelf stability of pet foods and treats. Our product OvaZyme™, derived from whole eggs, features hydrolyzed egg phospholipids for increased functionality. When compared to a standard whole egg, hydrolyzed egg phospholipids offer increased functionality during emulsification, which is a key element for almost all pet food products during both production and all the way through their shelf life. In processing, an emulsifier can promote stability, and during the product shelf life, it can help reduce sweating and leaching. Due to its hydrolyzed egg phospholipids, OvaZyme™ can actually replace typical emulsifiers (like soy lecithin, sunflower lecithin, and gums) while also enhancing, or “cleaning up,” the product label of the pet food or treat. During hydrolysis, water gently modifies phospholipids using targeted enzymes to increase their functionality. Enzymes are natural catalysts for chemical reactions (i.e., any reactions that modify molecules), and they can be very specific. In the case of OvaZyme™, we target one specific fatty acid to cleave off the phospholipid. Enzymatic modification of materials is generally viewed as a more natural process when compared, for example, to hydrolysis that relies on a strong acid to indiscriminately break down a product. No chemically synthesized materials are utilized, ensuring a clean label that will appeal to your customers. In addition to its functional benefits, OvaZyme™ provides all of the nutrition of a whole egg: high-quality protein, immune-boosting properties, antibacterial qualities, and many vitamins and minerals. It is highly digestible, so pets’ bodies can easily absorb the proteins provided, and it is a valuable source of nutrients. Finally, some benefits depend on the exact application used. 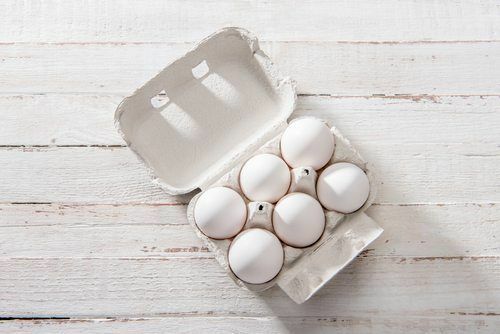 With the right technique, hydrolyzed egg phospholipids can also provide heat stability, smaller droplets for enhanced emulsion stability, and longer shelf-life benefits for finished products. For these reasons, amongst many others, hydrolyzed egg phospholipids are highly valued in the manufacturing industry. If you are looking to improve the processing or shelf life of your food or treat, check out IsoNova’s line of functional products. We are happy to help you discover which product or combination of products works best for your unique application. Our cost-effective, egg-based ingredients can help you expand your options and introduce new products. OvaZyme™ features hydrolyzed egg phospholipids that enhance the processing and shelf stability of pet foods and treats. To learn more about our products and to discover how they might enhance your pet food or treats, contact IsoNova® today.